FOUR TALENTED INDIVIDUALS REPRESENTING FOUR UNIQUE DISCIPLINES JOINED US FOR A WEEK IN TUSCANY. 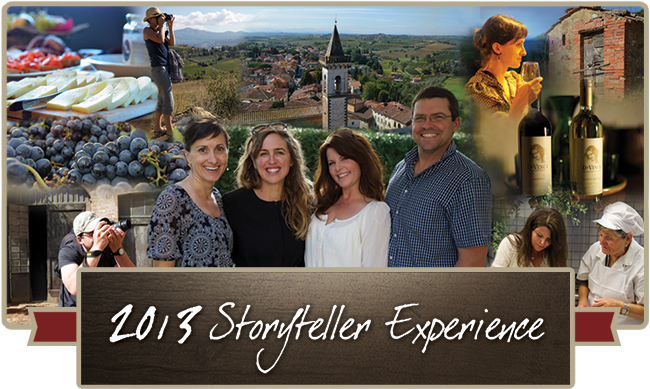 These Storytellers—selected in part by DaVinci fans from across the country—experienced the people and place behind the wine during the peak of the 2013 harvest. Stay tuned as we slowly unveil the expressions of their experience through photography, recipes, paintings, and the written word. And be sure to follow along on Facebook as each Storyteller shares their impressions of the journey on their own social media sites, too. Visit us on Facebook to view and download exclusive content from this year’s Storytellers!